Request the 40pp PDF eBook now to get your policy reference guide for taking your organisation forward. 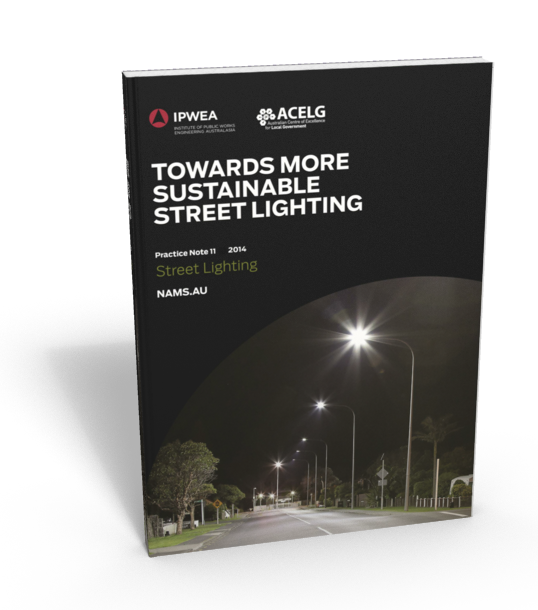 A fundamental transformation in street lighting is now underway with the emergence of energy efficient and cost effective LED lighting. This transformation will have major social, economic, environmental and governance benefits. A key driver is the potential to reduce energy consumption by 30-70%+ and dramatic 50%+ reductions in maintenance costs. Hard copies also available for purchase at $50 (ex GST) see www.ipwea.org/bookshop. * Street Lighting technology is undergoing ongoing change. Providing your contact details will allow us to send you updates of the Practice Note eBook.